The first Italian Grand Prix motor racing championship was in September 1921 at a circuit near Brescia, a city between Verona and Milan. The Italian GP is however, more closely associated with the track at Monza which was built in 1922. Motor racing pioneers Vincenzo Lancia and Felice Nazzaro laid the last two bricks at Monza, a circuit that was 10km long. It was fast and very exciting. Every Formula One Italian Grand Prix since 1950 has been held at Monza (except in 1980, when it was held at Imola). Monza has an enormous history. In 1922 the original layout of the Monza circuit consisted of the road course that is still used today, as well as an oval that added four kilometres onto the circuit’s total length. Over the next thirty years different configurations were used. The circuit was upgraded and altered many times but the biggest modification came in 1955, when the oval was rebuilt with steep banked corners and combined with the road course to create one long racetrack. To celebrate the new layout, Monza hosted the ‘Race of Two Worlds’ in 1957 and 1958. These events put the Formula One cars up against the Indy racing teams from the USA, and the American cars dominated. The high speed banking was used in the Italian Grand Prix until 1961, when it was deemed too dangerous and from then on the race has been held on the road course only. The banking was used for Sportscar racing for several years after the F1 cars abandoned it, but has since fallen into disrepair. The next big change to Monza came in 1972 when chicanes were added to slow the cars but these were significantly altered in 1976 as they had not been effective. Many of the corners have been reprofiled slightly for safety reasons, especially since the death of Ayrton Senna in 1994. Despite the extensive changes, much of the layout remains the same as it was in 1922. Traditionally, Ferrari has always done extremely well in Monza. Monza is a real power track and that always suited the old Ferrari team who invested lots into engine power but little into anything else. Enzo Ferrari himself once said that aerodynamic efficiency was for people who built poor engines, so there is no surprise his cars always performed well at Monza. 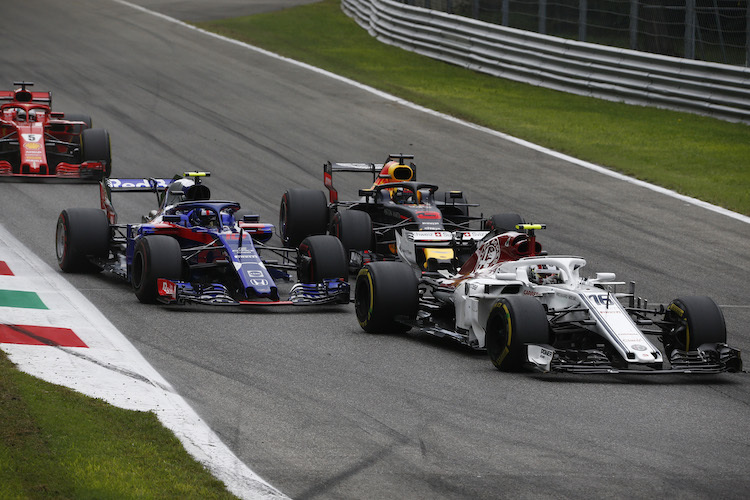 Times have changed and aerodynamics now plays a bigger role in the Italian Grand Prix since most of the engines are fairly similar. However, downforce is not the concern and the ultimate factor is actually drag. All of the teams run skinny wings so there is nothing to be gained in that regard. There is an advantage to the team who can produce the slipperiest car, and this has usually been Adrian Newey’s designs at Williams and McLaren. It is one of the few tracks where a one stop strategy can work because the teams lose a lot of time stationery in the pits whilst the cars whizz by at 300kph. 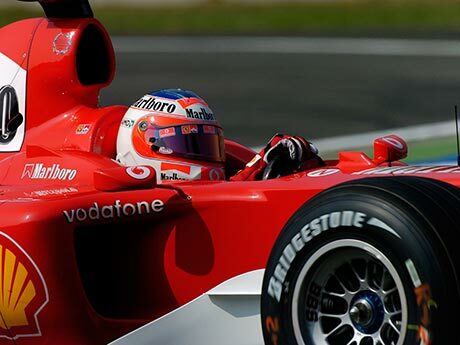 Raikkonen is phenomenal around this circuit and took a commanding pole position in 2005 despite having enough fuel on board to last him until half distance. 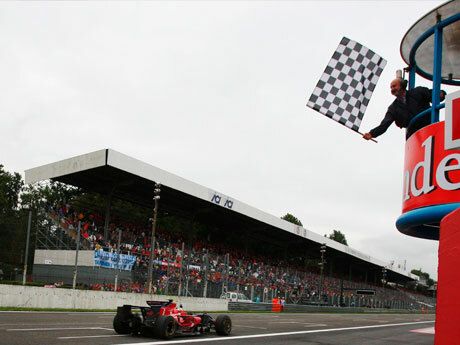 Germany’s Michael Schumacher has the most victories at Monza, with a total of 5 wins.Ferrari have won at their home GP a total of 19 times – more times than any other team. Rubens Barrichello holds the current lap record, achieving a time of 1:21.046 in 2004, according to the official Formula One website. 1956: For many years Monza was the final round of the season and in 1956 Peter Collins and Juan Manuel Fangio were battling each other to decide the championship. Fangio looked to have it covered until his car broke down, but rather than claim victory Collins pulled into the pits and handed his car to Fangio so the great Argentinean could win the title. Collins reasoned that Fangio deserved the championship more than he did, and his act of sportsmanship is unmatched in Formula One History. 1967: Jim Clark was forced to drop out of the lead on lap 13 with a deflating tyre, and rejoined the race a lap down on the leaders. What happened next was unbelievable. He unlapped himself and started setting times almost three seconds per lap quicker than everyone else. He gradually started overtaking the backmarkers for position and on lap 61 he regained the lead. He would have won the race and claimed the sport’s greatest victory if not for an engine problem that robbed him of glory on the very last lap. 1971: Due to the slipstreaming nature of Monza there were five drivers in contention for victory on the final lap. Each of them crossed the finish line within six tenths of each other and Peter Gethin took victory by just one hundredth of a second. It was the closest finish in Grand Prix history. 1976: Niki Lauda took to the track wrapped in bandages, with blood still seeping from the wounds caused by the fiery accident that almost killed him six weeks previous. Lauda was not short on bravery. 1988: Gerhard Berger and Michele Alboreto scored a sensational 1-2 victory for Ferrari in the only race of the year that McLaren did not win. A good result for the Scuderia seemed very unlikely until both McLaren’s hit trouble and the result was made all the more special as it occurred just a few weeks after the death of Enzo Ferrari. It was one of the most emotional Grand Prix races of all time. 1998: McLaren looked set for a commanding victory 1-2 victory until David Coulthard’s engine blew and Mika Hakkinen ran wide on the resultant oil. Michael Schumacher took the win, and Eddie Irvine also squeezed past Hakkinen for second place giving Ferrari control of the podium.